Looking for a removals firm to help with your move to or from Guildford? You’ve come to the right place. 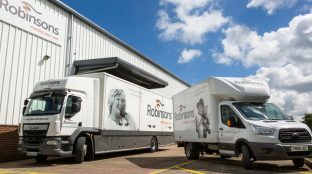 Robinsons have been helping families move all over the UK for more than 120 years; we know the best stress-busting methods to ensure you have a relaxing and enjoyable experience. We have excellent knowledge of the local area, but we can also help you overcome the obstacle of moving across the country. We have branches spread throughout the UK so no matter where you’re going to or coming from, our expert teams can help. Call us today on 01483 906 200 to discuss your requirements with one of our Move Managers. For a free, no obligation home-moving survey and quotation, fill in your details in the enquiry form above. One of our Guildford Moving Consultants will visit you for an informal chat about your upcoming move. If you’d like more information, don’t hesitate to speak to us directly: please call us, free, on 01483 906 200. We’d love to know more about you and your move.